There are lots of ‘rules’ when it comes to eating. Everywhere you look, someone is saying ‘Eat this. Not that.’ Different diets adhere to different guidelines, and though there are a few basics that everyone can adhere to, it’s hard to separate fact from fiction when it comes to healthy eating. 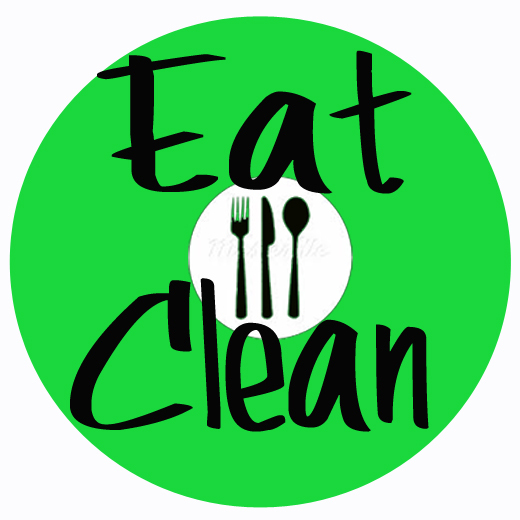 Eat Clean Health is a huge proponent of bio individuality; the concept that every person has unique food and lifestyle needs based on a variety of factors including, but not limited to: age, gender, body type, cultural background, physical activity, and lifestyle habits. Instead of ‘dieting’, which has a fail rate of over 98%, Eat Clean Health believes that food is about NOURISHMENT, ENERGY and VITALITY. Let’s give our bodies the nutrients it needs to flourish, function, and heal. Clients love it when I tell them to eat more food. What’s better than eating more yet weighing less? It’s all about the QUALITY of foods you’re eating. WHAT you eat matters far more than the calorie count. Load your plate with fresh fruits, vegetables, lean protein and healthy fats. And when you’re hungry, EAT! 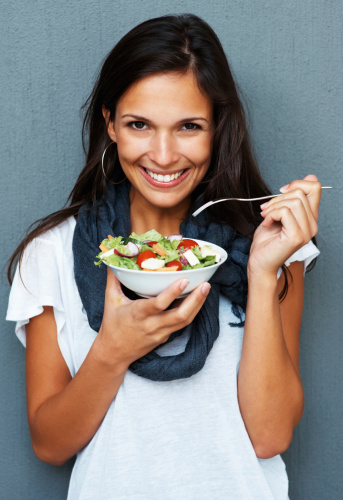 When you eat clean, your body will tell you when it’s satisfied and nourished. Think about the density of food. It’s easy to eat an entire package of chips, popcorn or cookies and still not feel satisfied. Why is that? It’s empty food. You’re not eating nutrient-dense food. When you do this, your body is left with ‘cravings’; the body recognizes that something (essential nutrients, fiber, fats, etc…) is missing and triggers hormones telling your brain to find them. And so you eat more-and-more without feeling satisfied. You overeat, yet you’re under nourished. When you eat WHOLE FOODS, you supply your body with energy. Fruits and greens create a light energy, root vegetables and meat create a grounded and relaxed energy, sugar and caffeine create an anxious, tense energy. What is the energy of your daily food? How would you like it to be different? 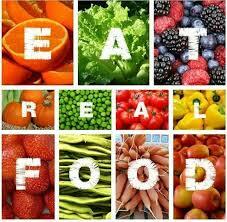 Yes, it is possible to eat clean and feel amazing EVERYDAY! You can energize your life and prevent chronic illness and disease by simply being mindful of the things that enter your kitchen and make their way into your body. Yes, it takes changes–some small, some big–but those changes equal a healthier, happier you. It’s not about tricking or starving your body; it’s about making conscious, daily choices to live and eat in a way that supports your overall health and wellness. Categories: Health and Wellness, Holistic Health, Inspiration and Motivation, Nutrition, Preventative Health | Tags: balance, clean eating, Diet (nutrition), energy, healthy eating, healthy lifestyle, increase energy, Nutrients | Permalink.